Memory still seems to be the item that prompts most upgrades, with VM’s running out of memory before running out of vCPU. 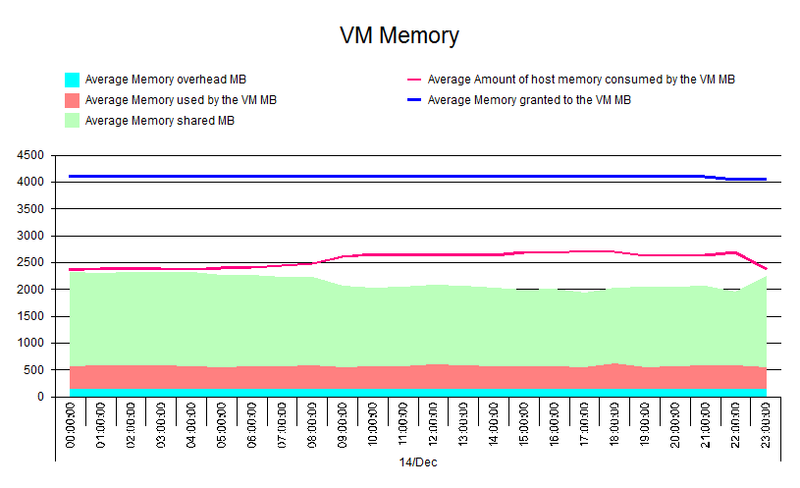 In this instance we can see that the pink area is active memory and we can note that the average amount of host memory used by this VM increases at certain points in the chart. 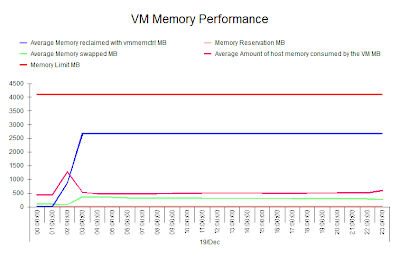 – Average amount of host memory consumed. 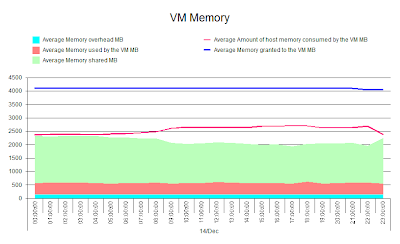 In this instance we can see that this particular VM had around 2.5gb of memory ‘stolen’ from it by the balloon driver (vmmemctrl), at the same time swapping was occurring and this could cause performance problems. 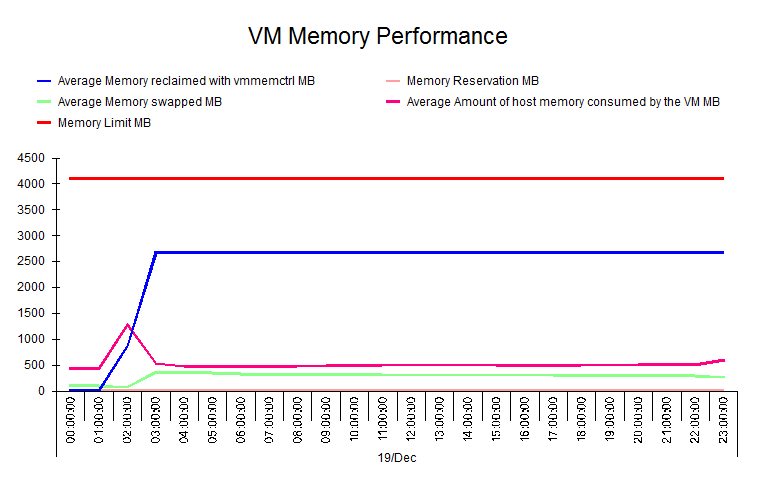 The next place to look at for memory issues is at the Cluster and I'll deal with this on Wednesday.